I spent a few hours Sunday getting to know Tanglewood Park, which was the main reason we chose to buy a condo in Clemmons, a bedroom burb on Winston-Salem’s southwest edge. We closed on the condo last week, but Melissa’s idea of move-in condition departs considerably from the sellers’ (translation: every wall needs new paint and window treatments; all rooms must be clean enough for open-heart surgery), so it’ll still be a couple more weeks till we move in. It’s true that I locked in 30-year mortgage before steeping foot in the park, but I was up for anyplace where I could take my morning walks without fighting traffic or breathing garbage truck fumes. So about Tanglewood: The park stretches over 1,100 acres — far too many are devoted to that game best described as “the perfect way to ruin a nice walk in the country,” but it’s not all fairways and water hazards. 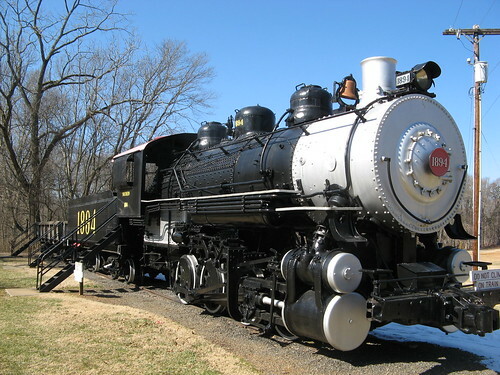 Among its amenities: three single-track mountain biking trails; abundant stables and horse trails; lake for fishing and paddle-boating; public swimming pool; horse-racing track; campground; annual Festival of Lights holiday extravaganza; amphitheater stage for outdoor; Arboretum full of fascinating plants; circa 1859 Manor House, now a bed and breakfast. I’d be hard pressed to believe many counties in the Carolinas have better parks than this one. It’s certainly the equal of any individual county park in the Bay Area, though every hike around here is yet more proof that most Californians have no idea how good they’ve got it, parkwise. For every nice trail around here, you guys have 12. Sunday’s stroll came in at about 9.5 miles. I saw horses, Canada geese, a few bike riders, and a guy teaching his 4-year-old how to fish (that could’ve been a blog post all its own). The terrain’s mostly flat and it’s just about impossible to get lost in: eventually you’ll either run into the Yadkin River on the west, Highway 156 to the north, a subdivision’s back fence to the east and all the golf course fairways to the south. Perfect for my morning-stroll needs: miles of open space without much traffic. 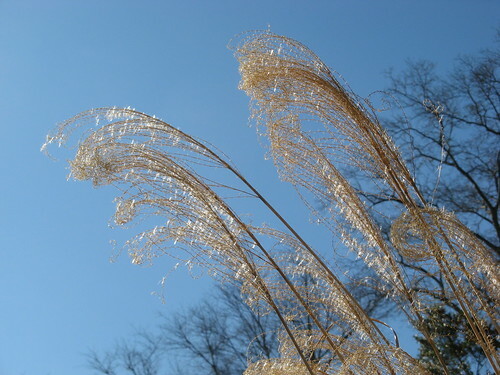 My favorite part of the park is its western border along the Yadkin River. 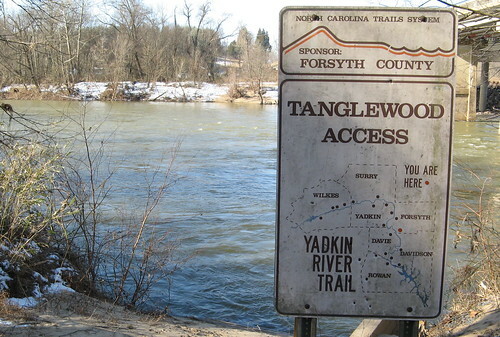 This is a put-in stop on the Yadkin River Trail, a paddling route I’d like to try some time. Trails of varying quality track the river for about a half-mile. Steam rises from the river in summer and fall, offering great photo opportunities if you can catch the early morning sunshine. 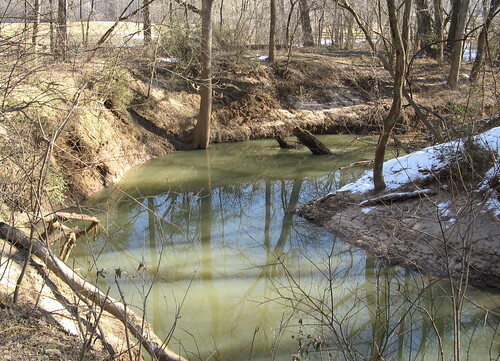 Johnson Creek flows into the Yadkin and there’s no nearby crossing, effectively ending the river trail after about a half-mile. Someday I’ll get brave and look for an easy place to ford the creek. 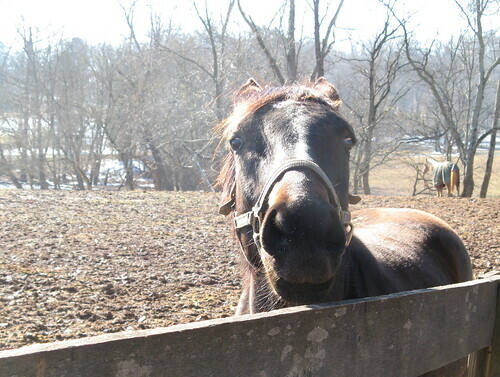 One of many equine residents of Tanglewood. Horses always look amusing in close-up like this for some reason. 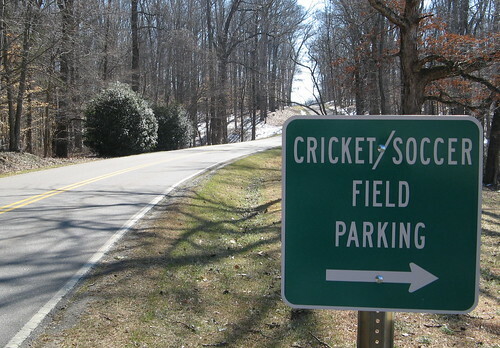 A sign speaks volumes about the development of North Carolina. 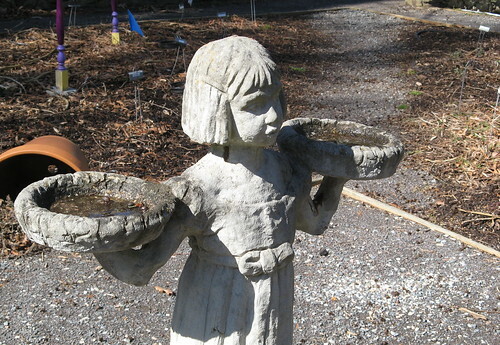 It’s not the “Dixie” of popular imagination. 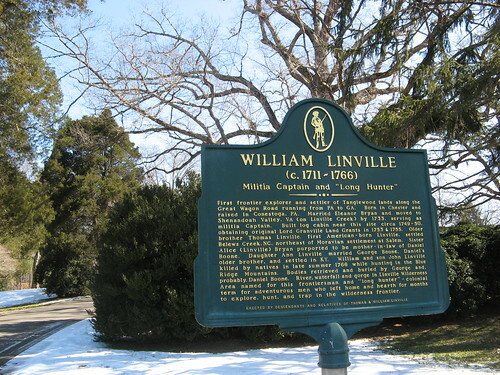 Nice little history lesson, courtesy of William Linville (namesake of the Linville Gorge), a contemporary of Daniel Boone. Note that he was 55 years old when he was killed by Indians while exploring the Blue Ridge Mountains. People didn’t roll over and wait for the golden years in those days, either. 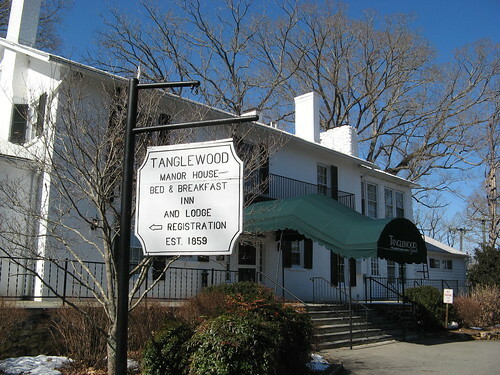 More history: Tanglewood comprises the original estate of William Johnson, who bought the land in 1757; his descendants’ heirs sold the land to William Neal Reynolds, brother of cancer king tobacco entrepreneur R. J. Reynolds, in 1921, when the estate was expanded to 1,100 acres. 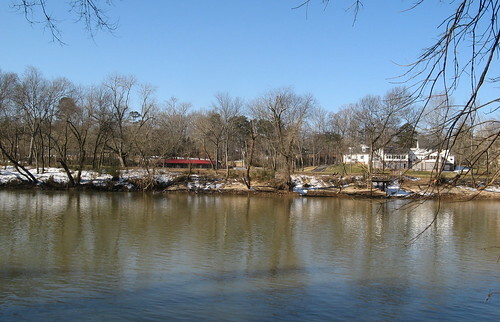 William Reynolds’ family donated the park to Forsyth County in 1951. 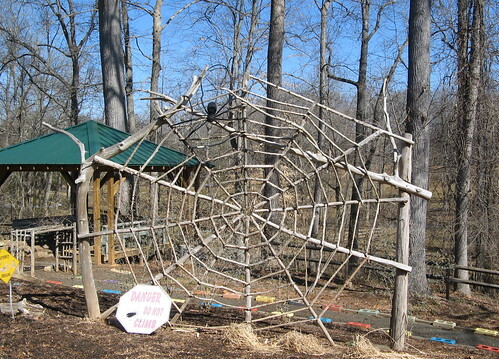 This is a hand-built spider web in the Arboretum, a must-visit in spring and summer when everything’s in bloom. The Johnson family prospered in the years after the American Revolution; the Manor House was built in 1859, no doubt in a burst of enthusiasm over the future of an economy built on forced servitude. Wasn’t enough white paint in the world to cover the tragedy of what came later. 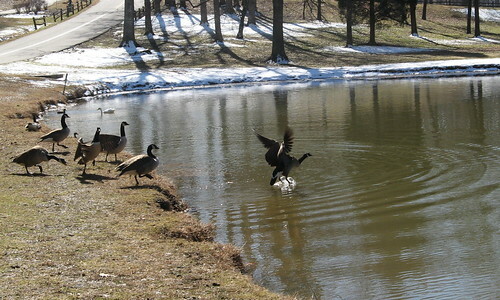 I wonder: are there actually any Canada geese in Canada? I see so many who seem to have lost their way. This is at Mallard Lake, which rents paddle boats between Memorial Day and Labor Day. 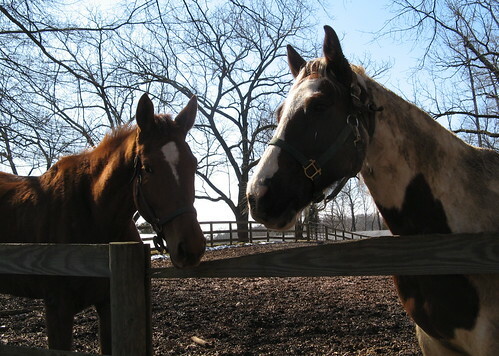 A couple more horses. (Someday I’ll acquire a nice in-focus picture of horse with good lighting; might have to purchase it, the way things are going). So that’s a pretty good first look at Tanglewood Park. Note for visitors: there’s a gate and an entrance fee (currently $2) to use all the amenities within the park; there’s no charge if you park near the visitors’ center (first building you see after entering the park) and enter on foot or bicycle. Special events like the Festival of Lights are another matter, of course.